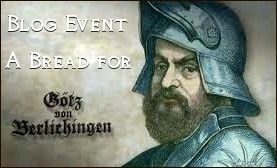 But not only his recipes with their abundance of grains and seeds are interesting – his posts are also often very funny! 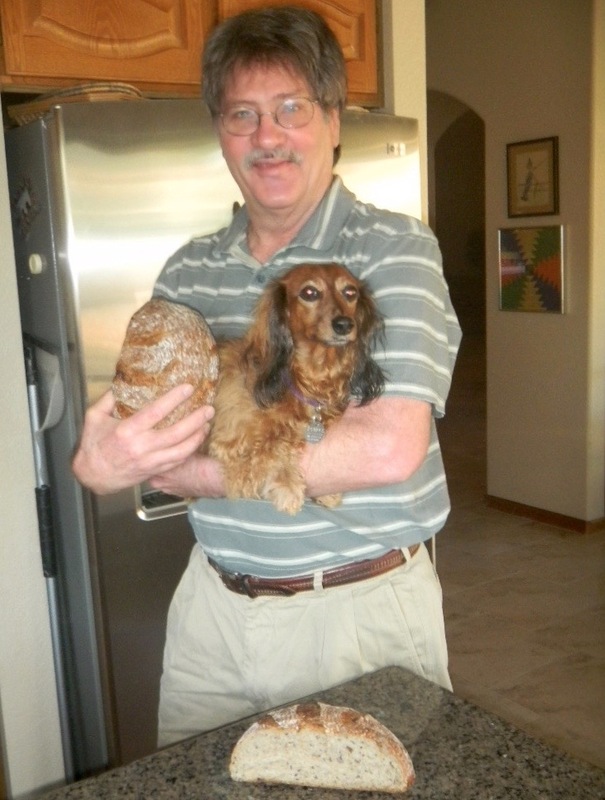 Instead of buildings he is now designing and constructing breads, with help of his four legged “apprentice” Lucy, who obviously has a preference for hearty, crusty loaves, and loves being busy in the kitchen. According to Lucy, bread baking, also, keeps the retiree too busy to hang out too often in motorcycle bars!!! DBM swears by freshly milled flour: “It has a more complex flavor, a better, deeper, and more earthy taste. It also is more active in starters and levains”. 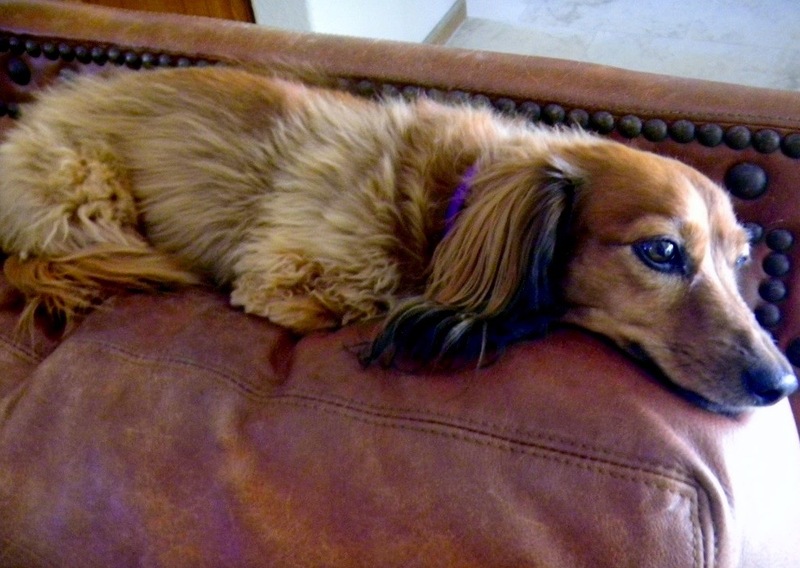 Resting after a busy baking day! For his levain he typically takes only a small amount of starter, feeding it in three steps, and then places it for 24 hours in the fridge. He prefers yeast water over commercial yeast, and often mixes it with his starter. 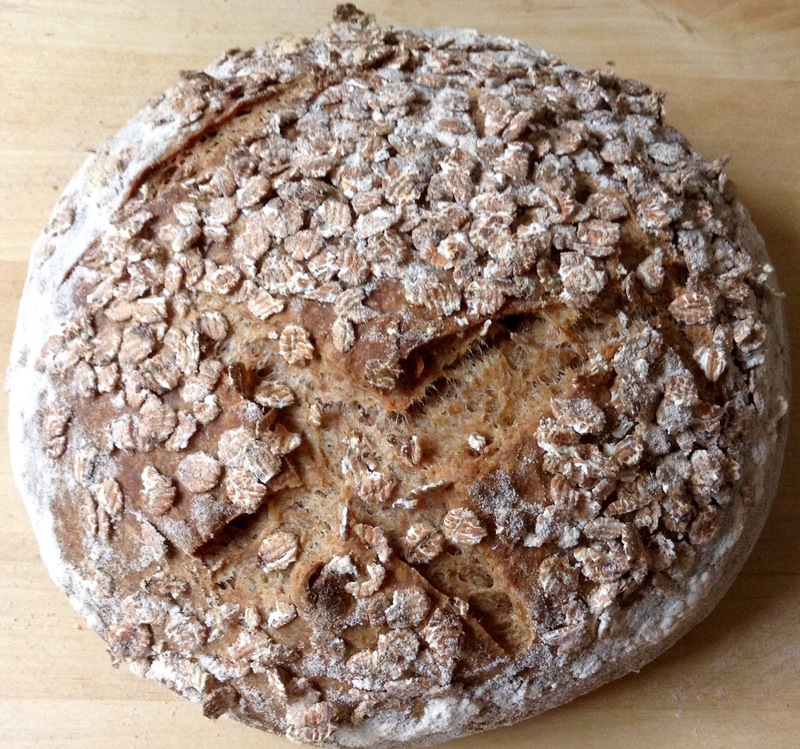 DBM sifts his whole grain flour, and adds the extracted mineral-rich, coarser parts to his starter – to expedite the fermentation of the levain, and to ensure the hard bits are sufficiently soaked. 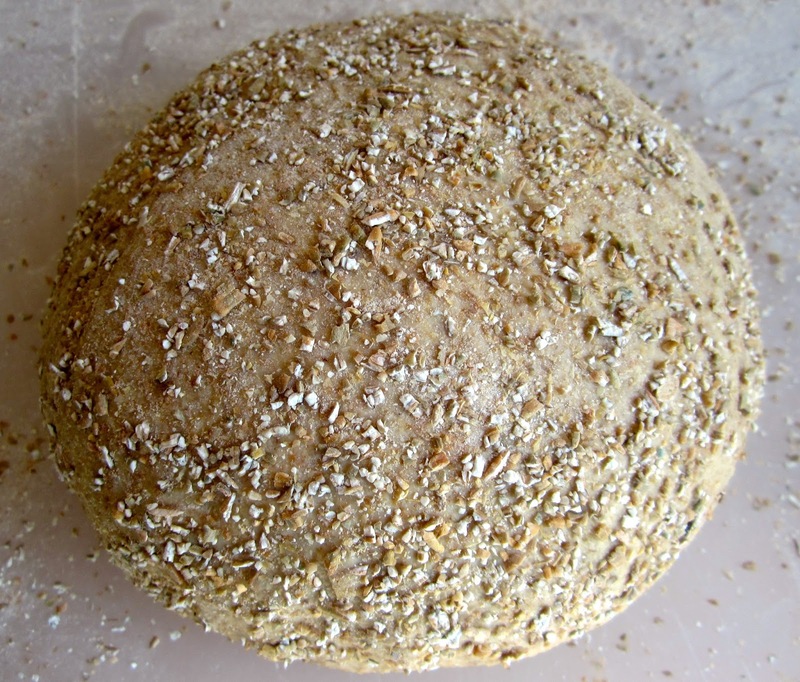 “Seems to work well – I have very active levains, and the rise and open crumb are pretty good”. Dabrownman likes Bertinet’s dough processing workout, slapping the dough several times forcefully on the countertop. 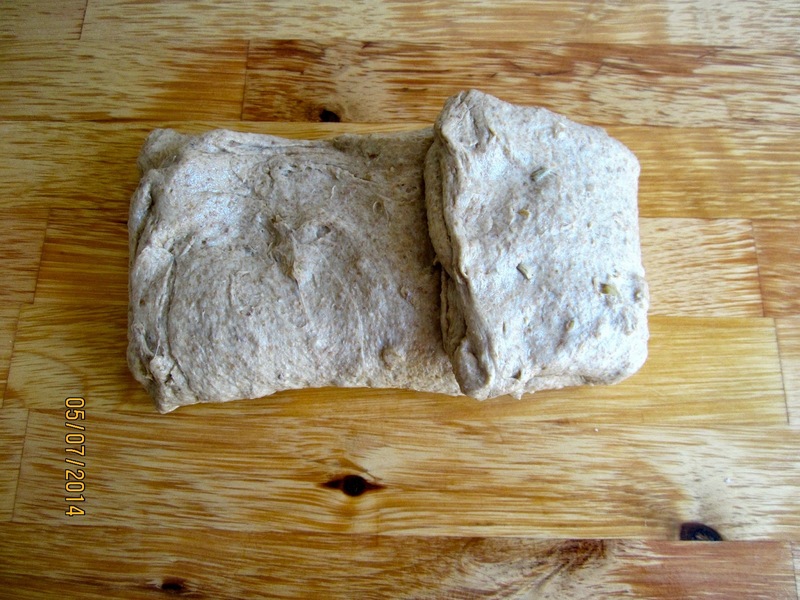 I prefer a gentler approach, and the – less strenous – stretch & fold à la Reinhart that I use for many of my doughs. Though sifting and extracting the whole grain flour is a bit of an effort, the result is well worth it! 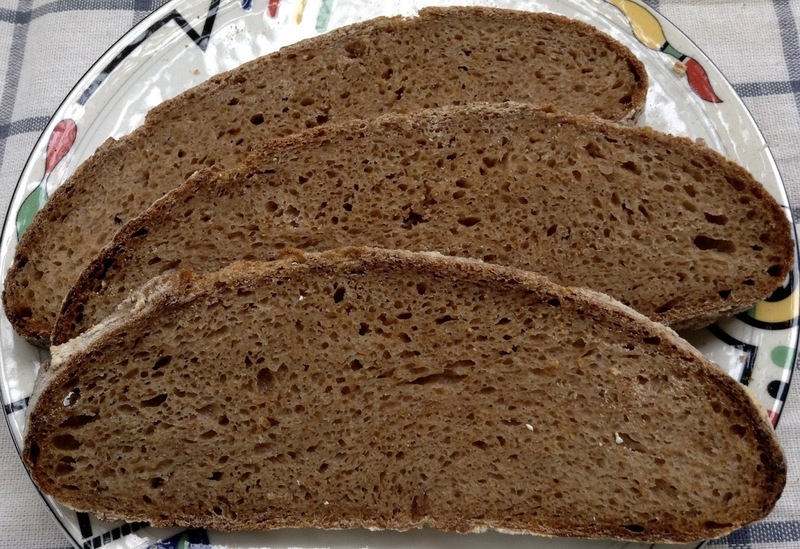 An especially hearty wheat-rye bread -worthy of a knight! 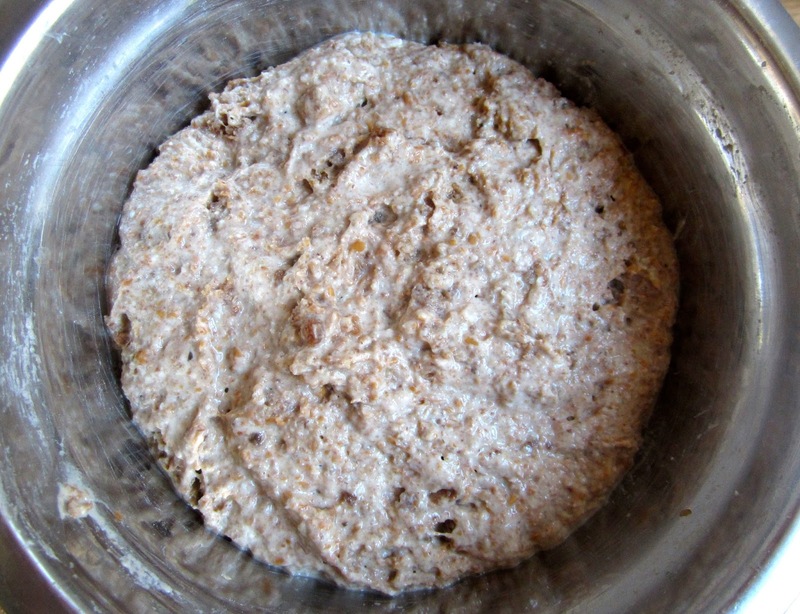 Mill about 135 g rye (not too finely – Nutrimill setting exactly between “Finer” and “Coarser”). Sift flour several times through a fine mesh strainer, to extract 15% of the coarser parts (about 18 g will be needed). Set aside both extractions separately. 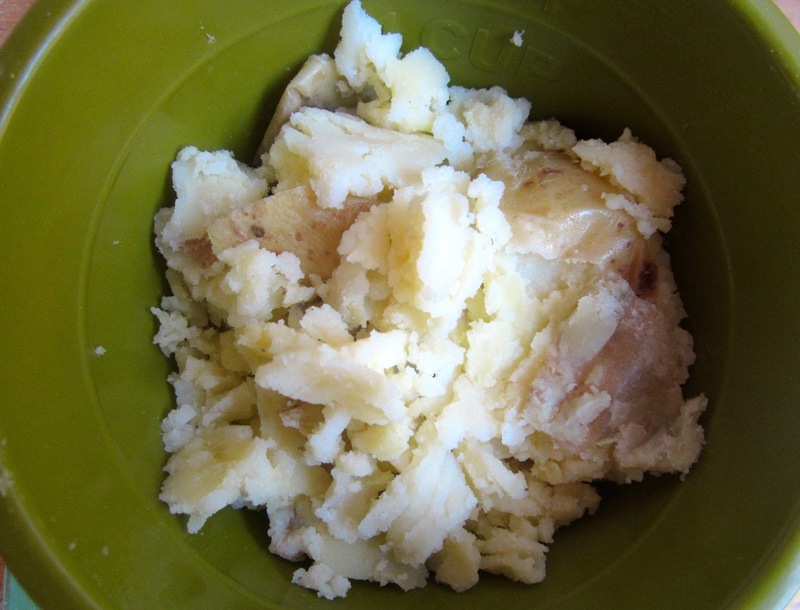 Boil unpeeled potatoes. Reserve potato cooking water, and let it cool (you will need about 250 ml/1 cup.) Potatoes with thin skins don’t have to be peeled. Mix all starter ingredients in a bowl. 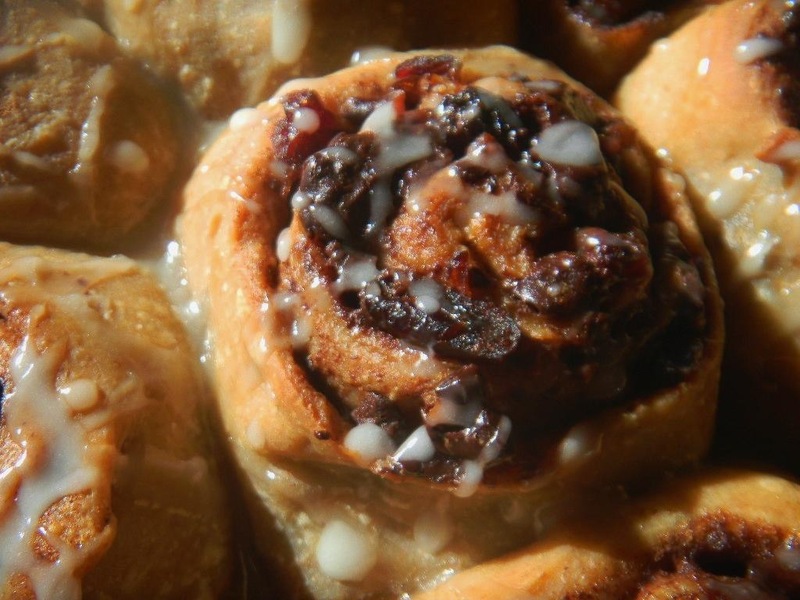 Cover, and leave overnight at room temperature (9 – 12 hours). It should double. Stir starter, and let double again (3 – 4 hours). Mix all dough ingredients. Leave for 30 minutes, then knead at low speed for 8 minutes, adding more water as needed (dough should clear sides, but stick to bottom of bowl). Transfer dough to a work surface lightly misted with oil or water. With oiled hands, pull and press dough into a rough square, then fold it from top and bottom like a business letter in 3 parts. Fold the same way from both sides. 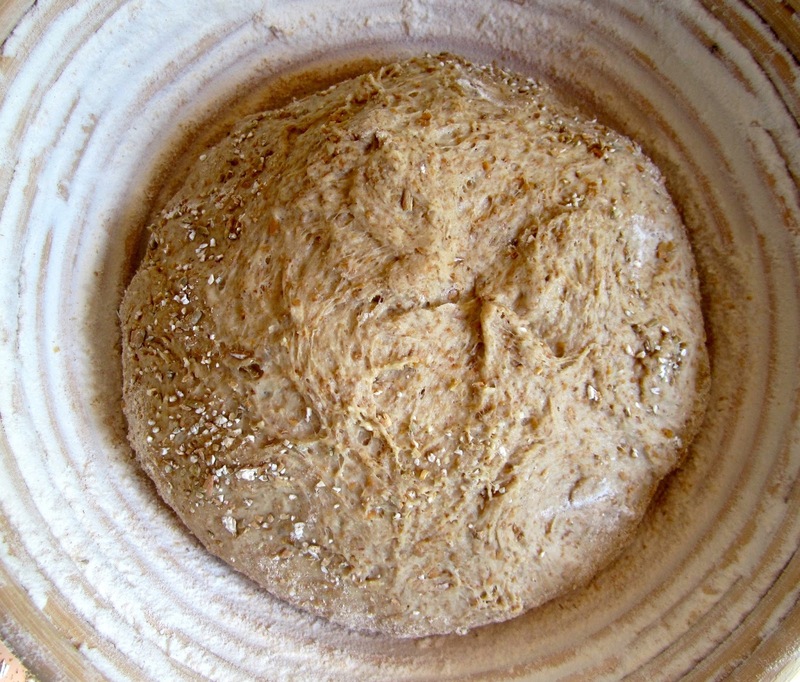 Gather dough package into a ball, and place, seam side down, in an oiled bowl. Cover, and let rest for 20 minutes, then repeat S & F four more times at 20 minute intervals. Leave for about 1 hour (dough should look puffed). Generously sprinkle a rising basket with a mixture of wheat and rice flours (to prevent sticking.) 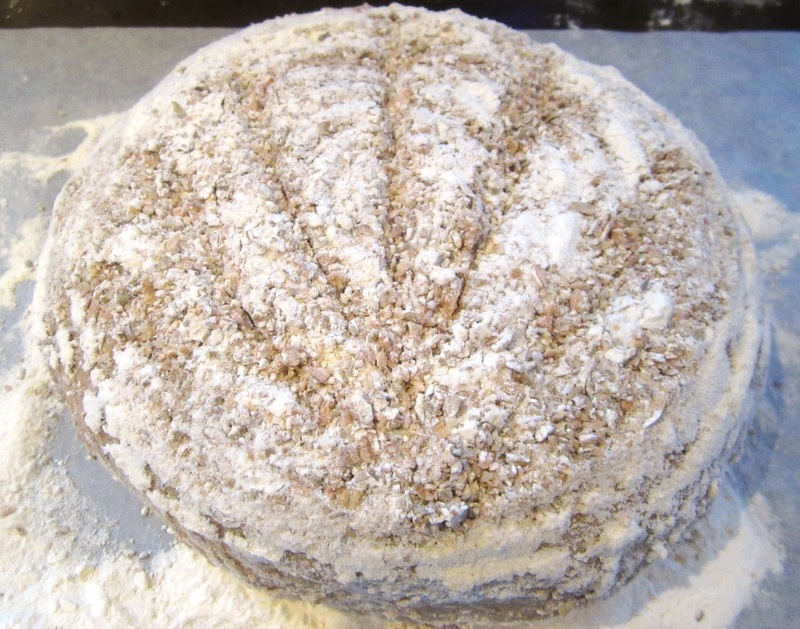 For an attractive, rustic look, sprinkle the bottom of the basket with coarse ground or rolled rye or wheat. 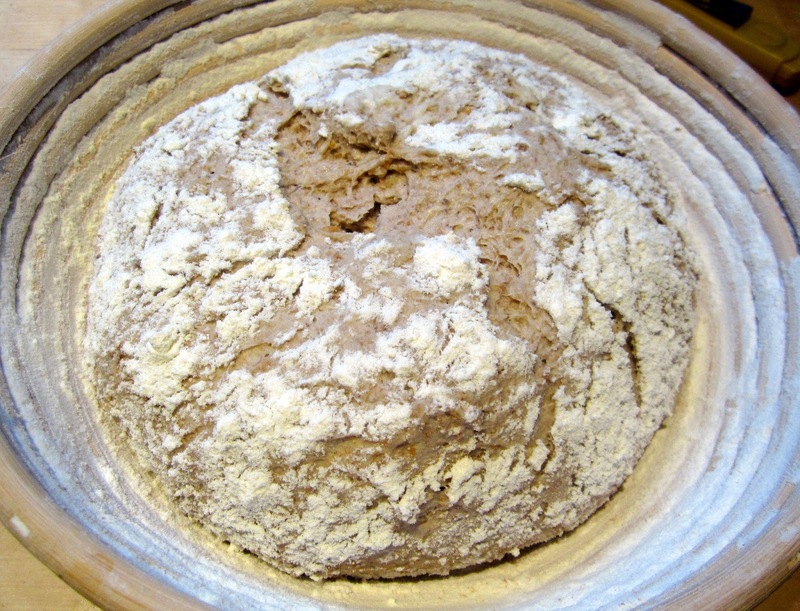 Pre-shape dough into a round, then shape it into a boule. Place, seam-side up, in the prepared basket. Dust the surface with flour, then put the basket in a large plastic bag. Refrigerate for 12 hours (overnight). Remove bread from refrigerator about 2 hours before baking, it should have almost doubled. If not, allow it to sit longer on the counter. Preheat oven to 500ºF/260ºC, including baking stone and steaming device. Don’t be too timid when you score it! When the bread is sufficiently proofed (finger poke test: a dimple should not fill completely up again, but remain visible), place it on a parchment lined baking sheet. Score, as desired. Place bread in the oven, steaming with a cup of boiling water. Reduce temperature to 450ºF/ 230ºC After 15 minutes, remove steam pan, and reduce temperature to 430ºF/ 220ºC – switch to convection mode, if your oven has that feature). Bake for another 20 – 25 minutes, until bread is nice and brown (the crust shouldn’t be to light!) and it registers at least 205ºF/96ºC. Let bread cool completely on a wire rack before slicing. 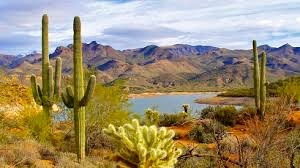 Great post Karin! Your rendition of our friend DA's bread came out terrific. Nice to share some more info on our resident baking guru from TFL. I just got back from a 14 day trip to China and I can't wait to get back to baking some hearty bread. Hard to find anything too good where I was. I can imagine that you got withdrawal symptoms – I get them, when I can't bake, and, worse, when soft, white, fluffy bread is the only thing that you can find anywhere. Hi, Mark, the only reason that I don't mill whole wheat is my going through a lot for my little bakery, so I purchase my most often used flours in 50 lb bags. The small amount of commercial yeast makes the rising time more predictable. If you don't want to add it, you might have to wait longer for the dough to warm up and rise some more after taking it out of the fridge. But freshly milled flour performs a bit different, it has more enzyme activity, so your dough might rise faster, anyway, even without additional yeast. Hi Karin – It turned out quite well. 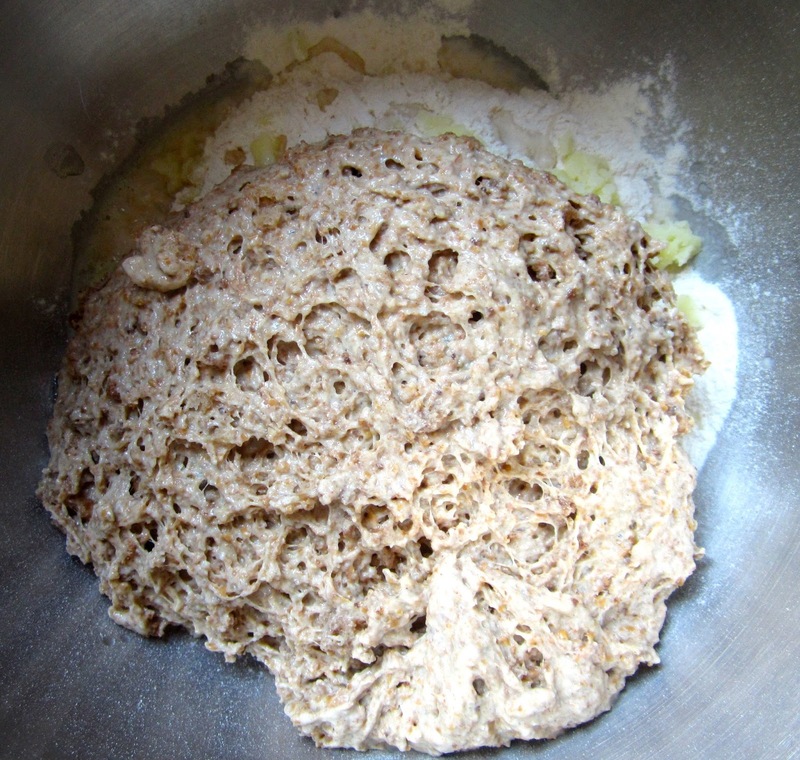 I substituted freshly milled hard winter wheat for the bread flour, which I sifted and then remilled the bran. When that was sifted it gave me something like 94% extraction – I saved the remains hard bits to coat the surface. It needed a lot more water than your formula calls for. I ended up adding an additional 70g (for a total of 95g) – the freshly milled flour seems to soak up a lot more water than the flour I get at the store. And I skipped the commercial yeast. I got reasonably good oven spring and a reasonably open crumb. And, most importantly, it is delicious! Nice! You are right, you should never stick slavishly to the recipe amounts of liquids, but adjust it according to how your dough looks and feels. 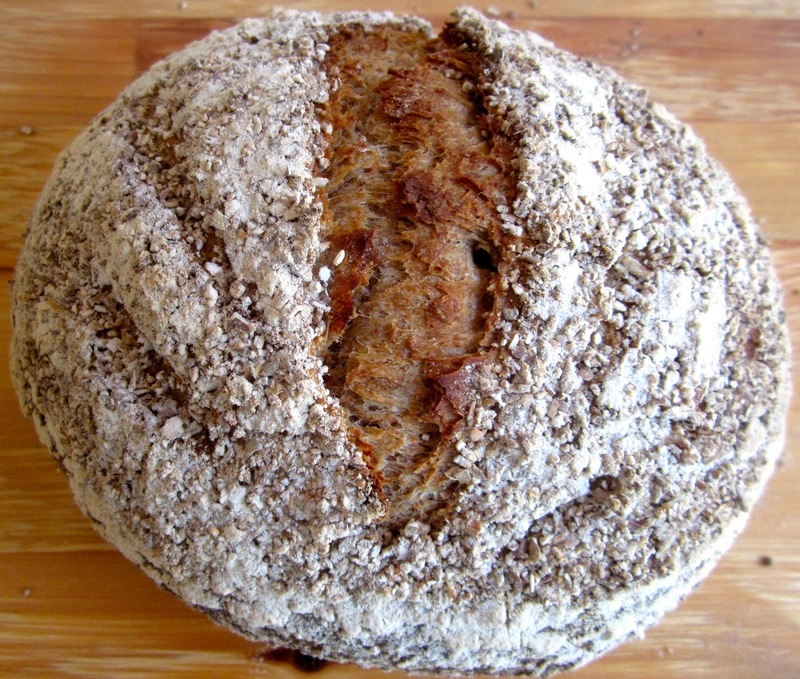 Freshly milled flour might absorb more water, and you obviously got it right. I'm glad you like the bread – the little extra work with the sifting is definitely worth it.